As a palate cleanser after the whole baby sweater thing, I knit a bulky-weight hat for my Pet Physicist, who wanted one to use at his jobsite. PATTERN: Didn't need one. 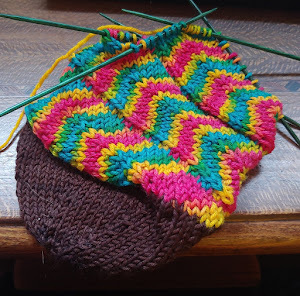 I cast on a few stitches and worked top-down, increasing every other row until I had achieved an appropriate head size. 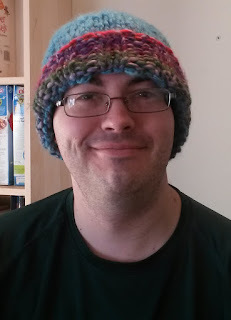 Then I went until I'd run out of yarn, added on the other yarn, and worked ribbing until that yarn was gone. Easy. YARN: The blue is my handspun from a Fibernymph 100% BFL braid in "Scylla Beware." The multi is Classic Shades Big Time in color 814 "Jubilant." 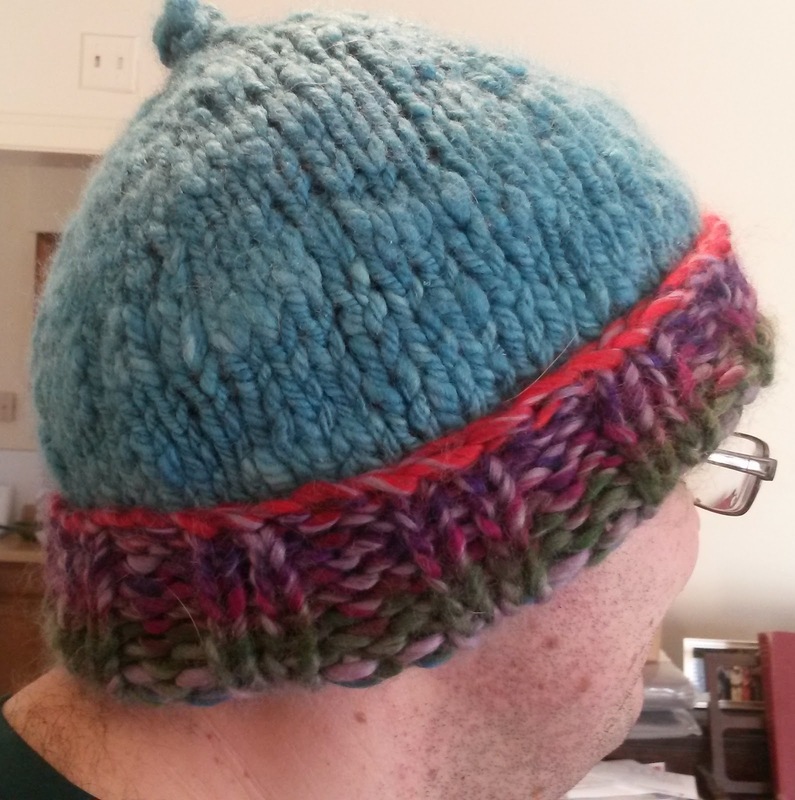 NOTES: It's really amazing how much even the worst handspun improves in the knitting. This is one of the first skeins I ever made (spun in September 2013, according to Ravelry), and it's truly beginner yarn, but it made a nice warm hat, and even matched the commercial grist quite well. And one can't argue with the results--doesn't he look thrilled?